History of Precision Electric . . . 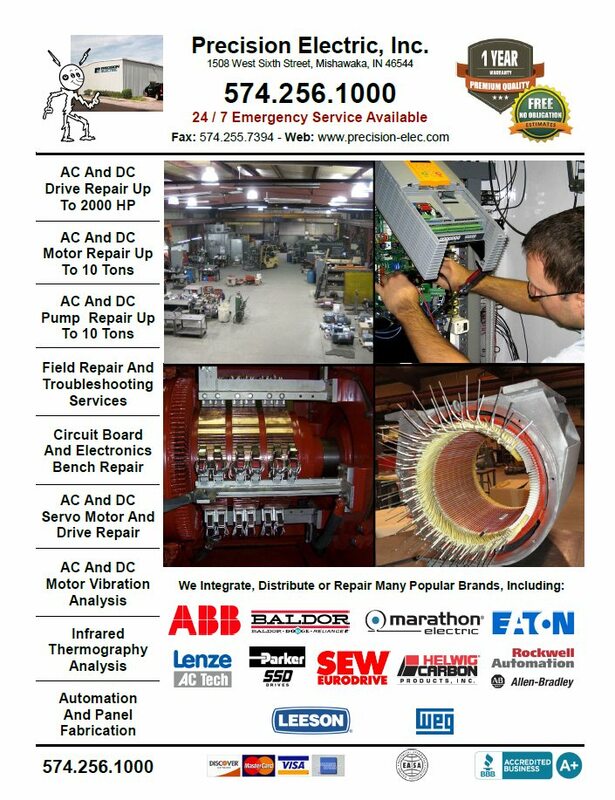 Precision Electric, Inc. was originally started to fill an area in the repair market for customers who demanded quality repair and service. This objective has been sustained to this day. As manufacturers have found the need to become leaner and meaner with their customers, the need for continued operation with minimal downtime is essential. Keeping equipment operating for long periods of time between service, and repair of that equipment in the most efficient manner possible when service is required, is what Precision Electric does best. What once started as an idea has become a reality. People will continue to come back and continue to send others if they are treated fairly. The services as offered by Precision Electric must be experienced in order to fully understand the meaning of this mission. All equipment is repaired in a fashion that will equal or improve upon what was originally intended by the manufacturer of that equipment. Precision Electric was founded in January of 1983. It was located at 306 W. Ewing Avenue in South Bend, Indiana and operated as a partnership in the State of Indiana. Partners and sole employees, Joe Chamberlin and Kerry Dodd, worked from this 2000 sq. ft. facility until March of 1984. In March of 1984, Precision Electric relocated to a 7200 sq. ft. facility located at 1816 West Sixth Street in Mishawaka, Indiana. Operations continued from the facility until March of 1988. During its time at this location Precision Electric added five employees to its staff, which brought the total employee count to seven. It also became a legal C type corporation in August of 1985. 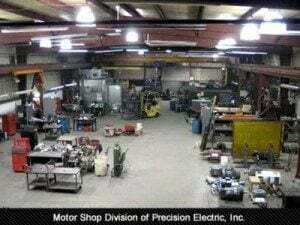 In March of 1988 Precision Electric, Inc. relocated to an 8400 sq. ft. facility located at 1508 West Sixth Street in Mishawaka, Indiana where it continues to operate. An additional 6400 sq. ft. of space was taken over by Precision Electric, Inc. at the same address in June of 1994. Another addition of space within the same building was made in February 1996 and again in 1998. The total facility area now measures 32,000 square feet. Precision Electric, Inc. now has 18 employees.